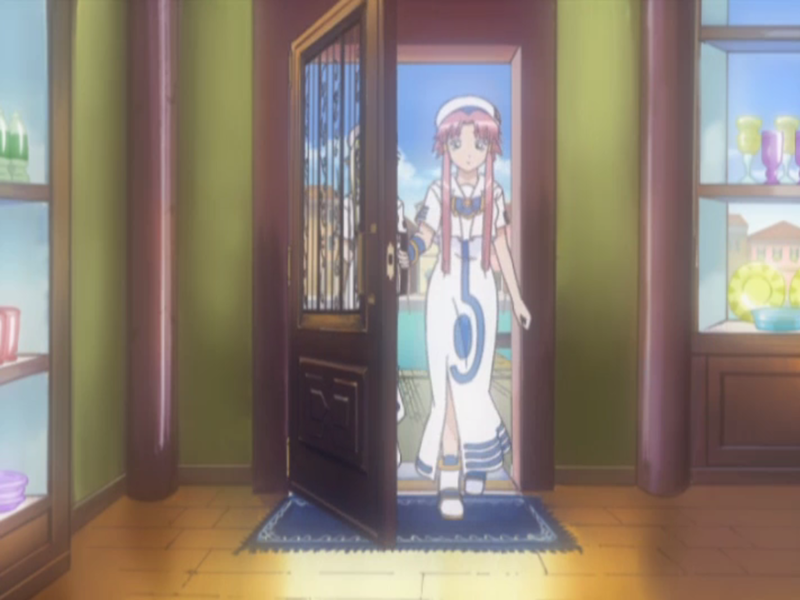 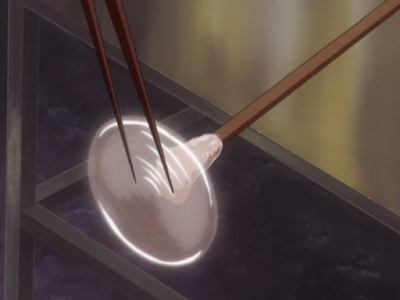 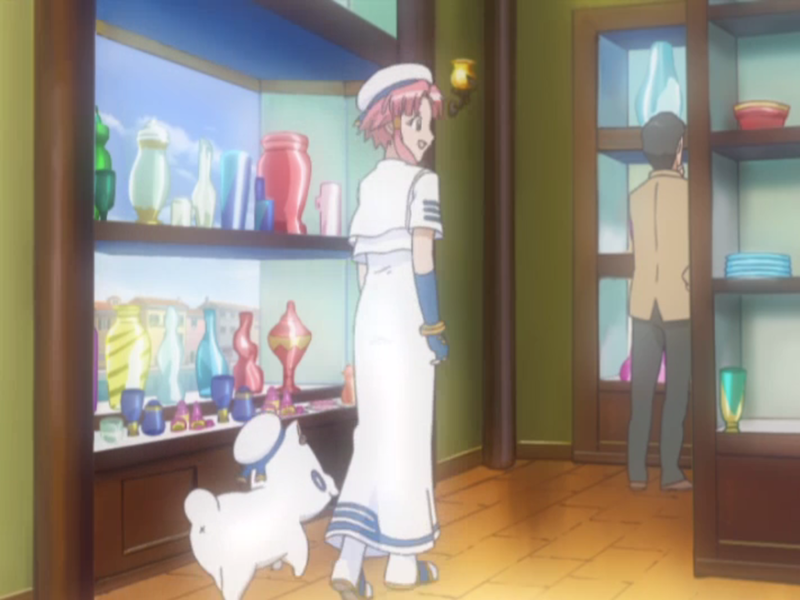 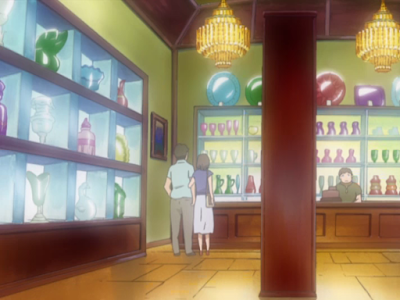 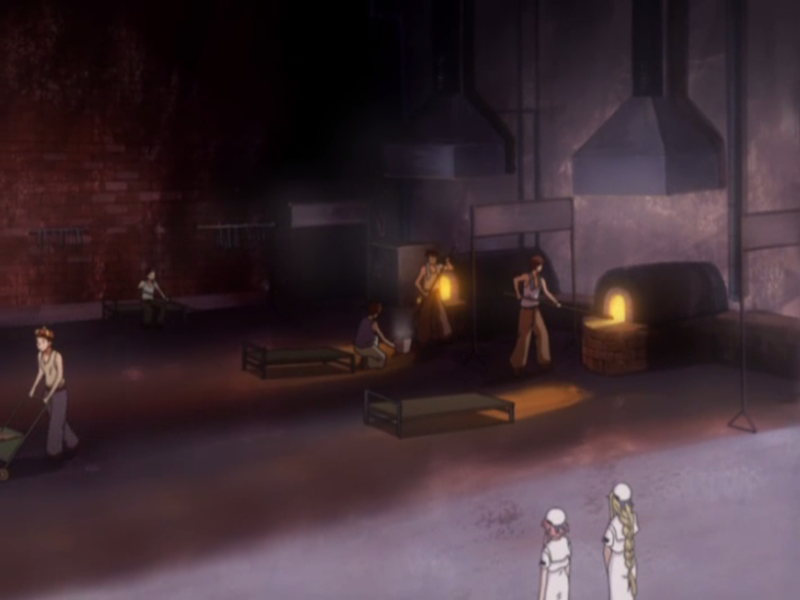 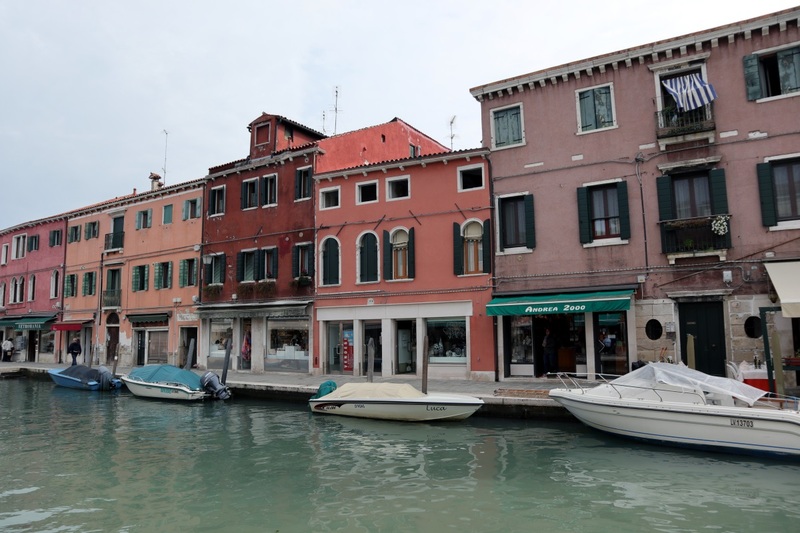 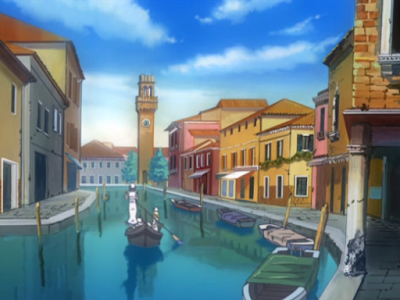 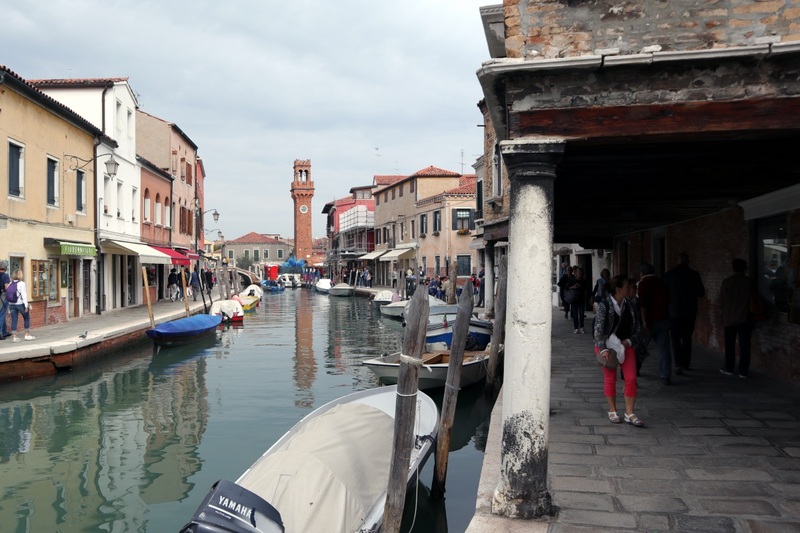 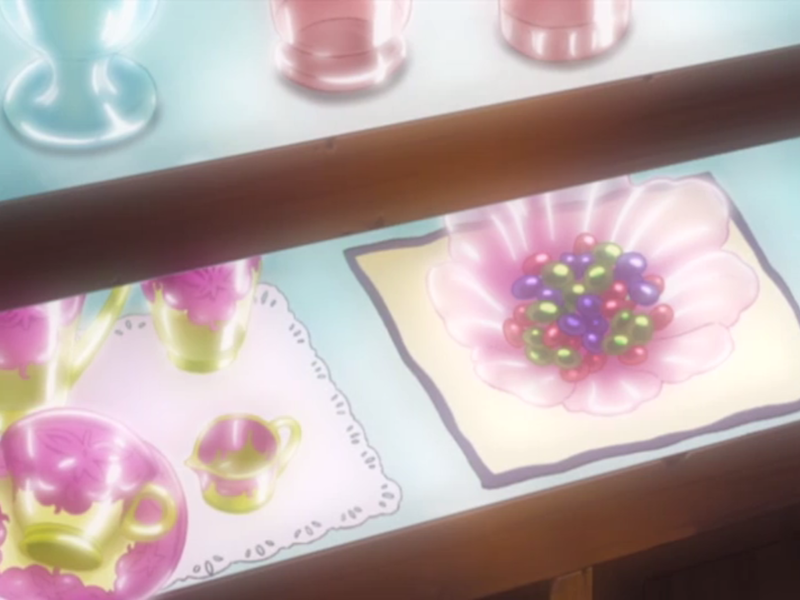 In episode 11 of Aria the Natural we see Akari and Alicia going to Murano Island, not to be confused with Burano Island. 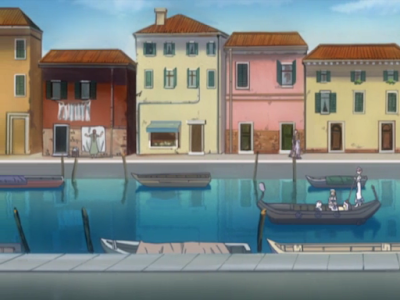 Some of the houses on the island. 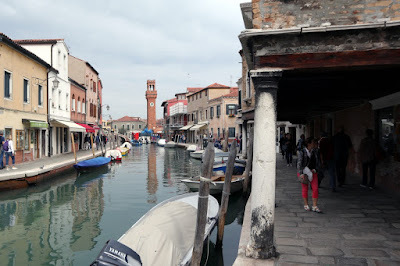 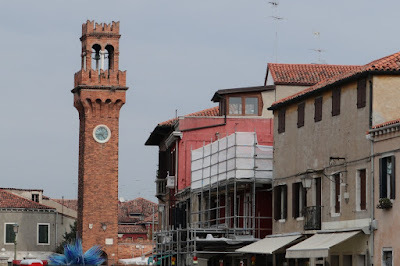 The tower in the distance here is the Torre dell'Orologio di Murano clock tower. Closeup of the clock tower. 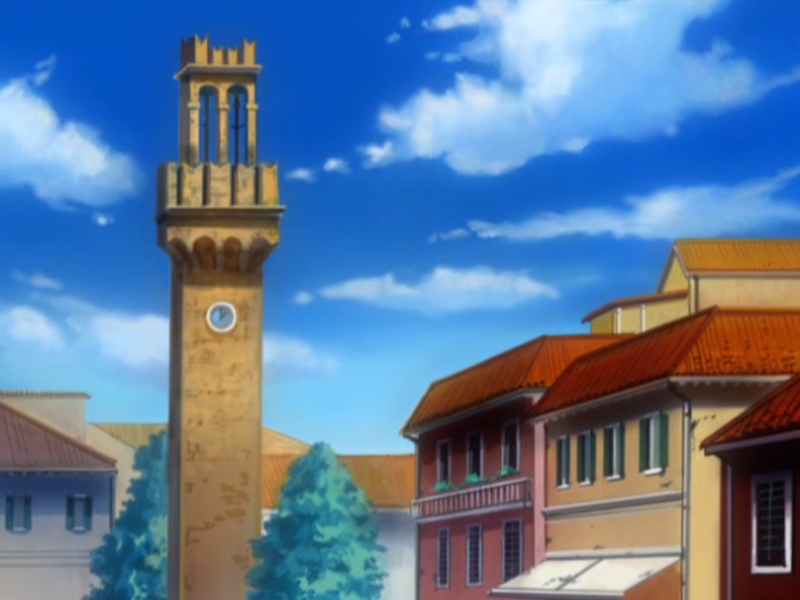 I've marked the location of the clock tower in the map below. 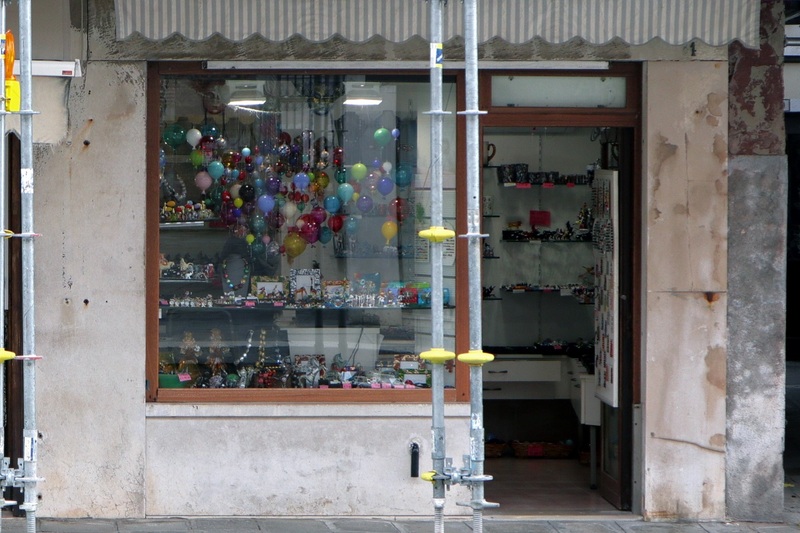 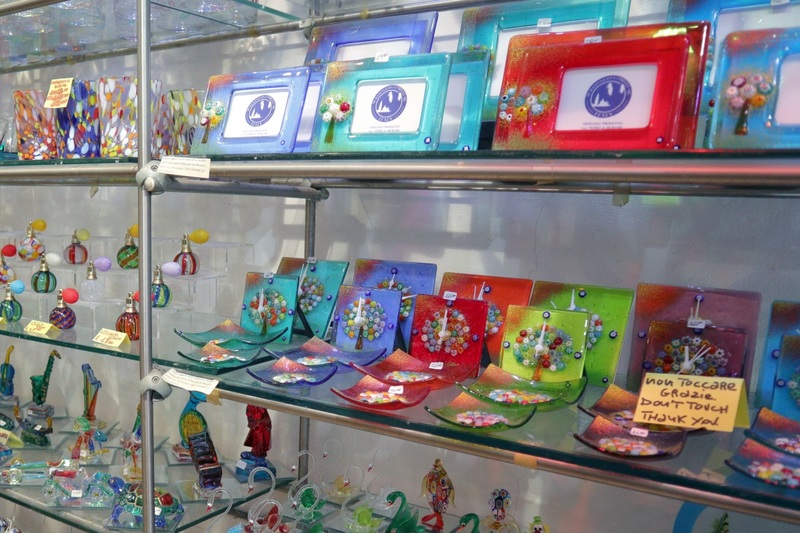 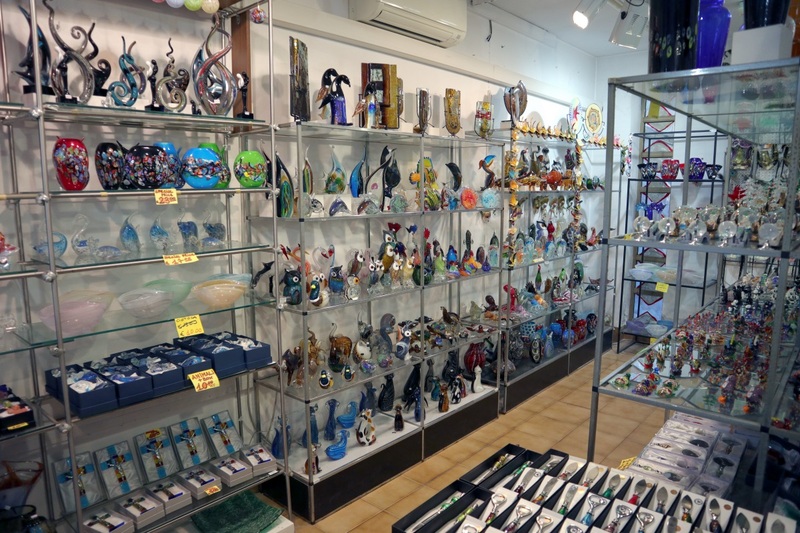 There's lots of shops selling glass items here. 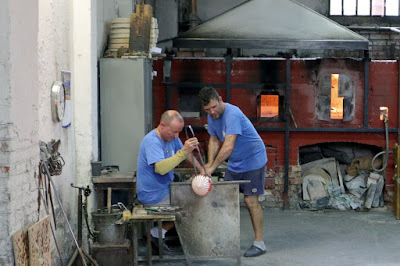 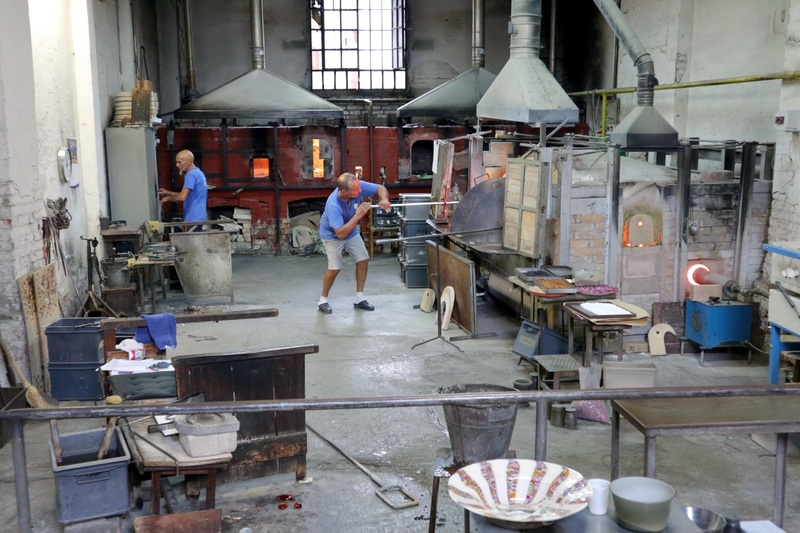 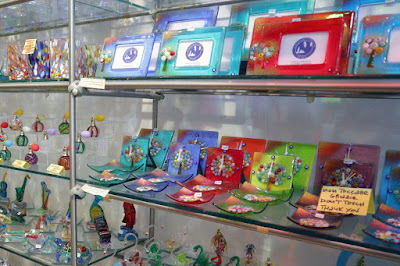 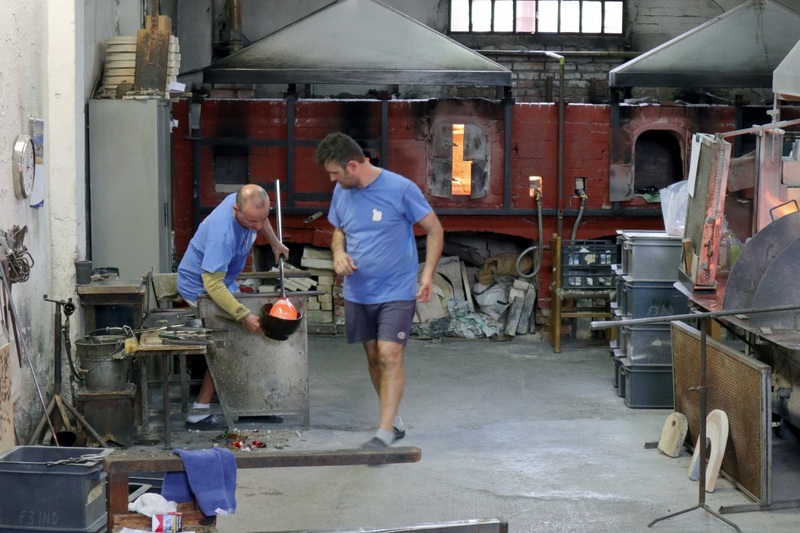 The island is famous for it's glassmaking. Closeup of some of the glass items. I also visited one of the glass factories on the island. 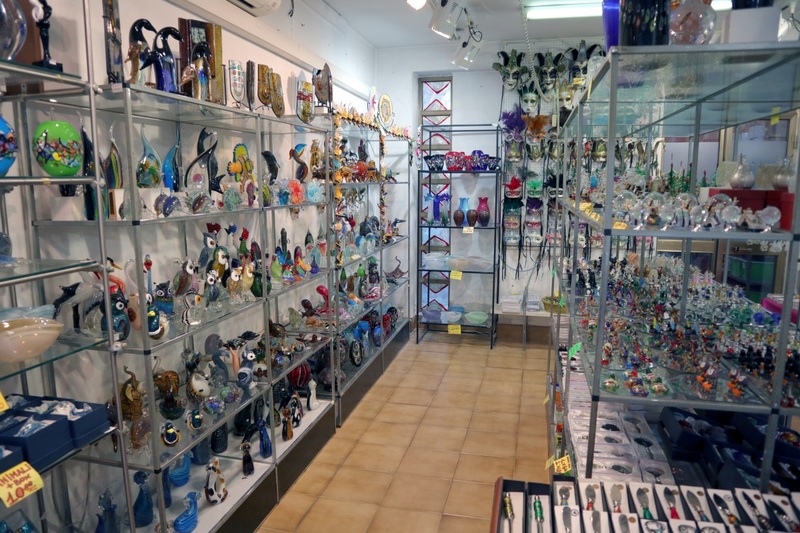 This one was called Vetreria Murano Arte and you could visit here for free. Glassmakers working with the glass. 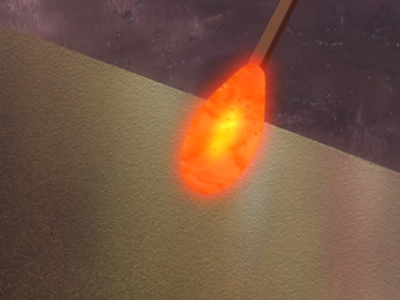 Turning it into an item. This location was visited on 2018/10/16.